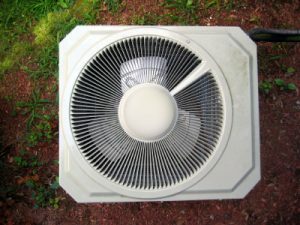 How to Avoid Major Buffalo Air Conditioner Repairs - DeZiel Heating and Air Conditioning Inc.
As the summer months approach, it is important to make sure that your Buffalo air conditioner is working correctly. An air conditioner uses a large portion of your home’s energy, and tuning it regularly can save you money. An efficient air conditioner will run better, and it will help you avoid major Buffalo air conditioner repairs. No matter what type of air conditioning system you have in your home, there are certain tasks that you can do to make sure that your air conditioner stays fully functional. Of course, in some cases, there might be a need for professional repair services, but here are some of the top ways to avoid major Buffalo air conditioner repairs. It is highly recommended that you start your air conditioner on a regular tune-up schedule. A professional HVAC contractor will be able to make sure your unit is running as healthy as possible. If you want to get the best performance possible from your cooling system, a regular tune-up is the best way to achieve it. The air ducts of your air conditioner distribute air throughout your entire house. If these air ducts are full of dirty particles, you can lose a lot of your air conditioner efficiency. Not to mention, objects and obstructive can block your air flow, which can result in major air conditioner repair services. You should also change your air filters once every three months while cooling your home. If you have a chimney in your home, there are several important reasons to install a chimney flue. There is one that you might have not realized. A chimney flue that is not properly sealed can affect the quality of your air conditioner. Air will escape through your chimney causing your air conditioner to work overtime to make up for the lost air. Ceiling fans can help with air circulation and reduce your dependency on your air conditioner. It is bad for you entire cooling system to keep it constantly running. If you know that you are going to be located in one room for most of the day, turn off your air conditioner and seal off the room. You can then turn on a ceiling fan for air flow. A bathroom and kitchen can often be a high source of heat. This is especially true if you cook a lot or take long, hot showers. In these rooms, ventilation fans can help move hot air form the indoors to the outdoors, which will help cool your home faster and give your air conditioner a bit of a break. Your air ducts, your window, your doors and all the other parts of your home that lead to the outside world need to be sealed and insulated for more efficient Buffalo air conditioning progress. Making sure that air isn’t escaping from your home will save you tons of money on energy costs. If you are looking for a Buffalo Air Conditioner Repair Contractor then please call 763-684-3965 or complete our online request form.